Malaysian Wantan Mee is very popular in Malaysia and it is also known as the wonton noodles. Unlike other noodle dishes, Wantan Mee is unique and has very rich taste. Depending on the area of Malaysia, the sauce that they use in the noodle is different. 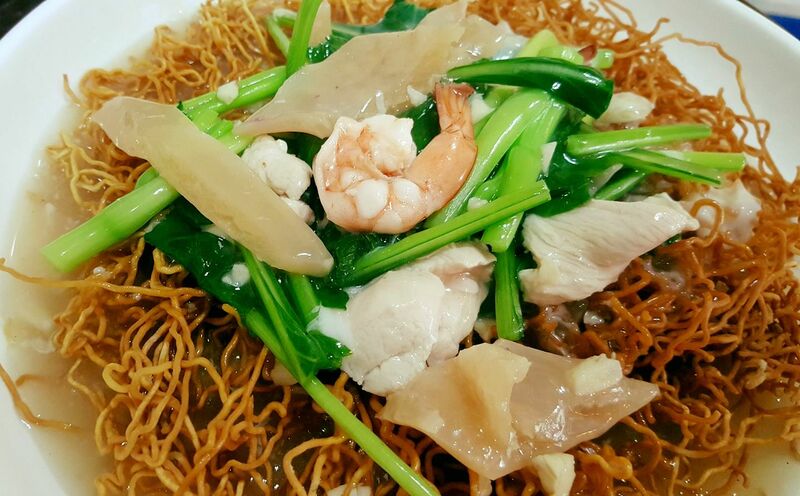 Wantan mee with black sauce is popular in the northern part of West Malaysia, including Penang. In other part of the country, they use orangey-colored chili sauce instead. The black sauce version is more popular and it tastes more delicious. Basically, Wantan Mee is topped with BBQ Pork, wontons, choy sum and pickled green chillies. The egg noodles are tossed in the sauce, and it is really really easy to prepare. Mix the pork with minced-garlic, oil, honey, dark soy sauce, rice wine, red coloring, Chinese spices, and sesame oil. Mix the chopped chilies into the hot water for 2 minute. Place a teaspoon of the mixture in the middle of each wonton wrapper. Mix the noodles with 8 table spoons of seasoning sauce, 1 table spoon of dark soy sauce, 1 tea spoon of sesame oil, ¼ tea spoon of salt, and ½ tea spoon of sugar. « How to cook Shwe Daung Khow Suey?